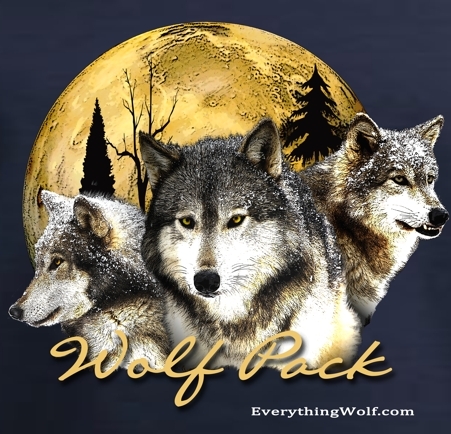 The Wolf Pack Long Sleeve T Shirt is designed and printed right here at the Preserve. The exclusive design features 3 of our spectacular Wolves. This long sleeve Wolf t shirt is made of 6oz weight 100% cotton preshrunk jersey knit. Machine wash warm inside out and tumble dry medium. See size chart for a better fit. Purchase as a gift or be a part of our pack and buy it for yourself.